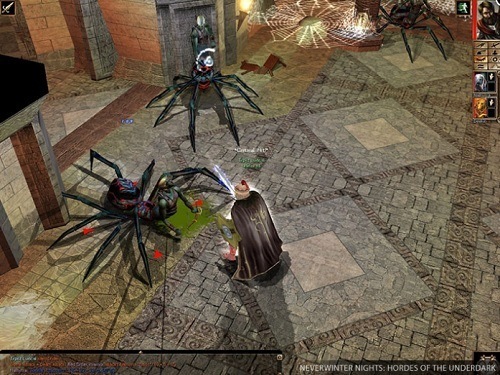 Neverwinter Nights takes you to a fantasy world in a third person role playing game. The game was released in 2002 for Windows with a Mac release a year later. In the game players can expect a lengthy campaign well in excess of 50 hours. With plenty of community created content also available thanks to the built in game tools players can push this number well into three digits. Players assume the role of an adventurer who gets caught up in a plot involving evil, mystery and cults. The games plot will take you across a large and very lively game world which starts and ends in the city of Neverwinter. The game is split into a series of chapters which are self-contained and require the player to complete the main quest before advancing. Each chapter comes with a good number of side quests and alternative plot lines to follow through which enhances the game world. 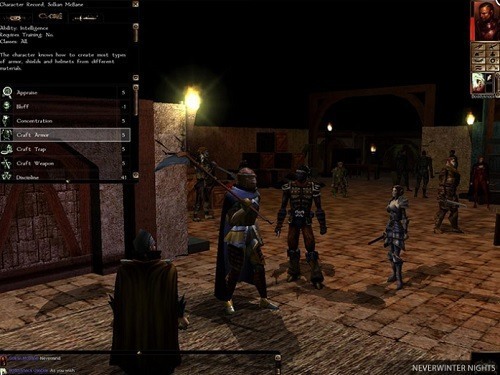 Gameplay in Neverwinter Nights sticks to a fairly standard role playing formula with players able to heavily customise their character at the start of the game based on their preferences. The game includes a number of pre-made character options but players also have the option to start from scratch. Options in character creation include race, class, attributes, skills and alignment so there is no shortage of character choice available which only grows deeper as the game advances. Combat wise the game uses mechanics inspired from the Dungeons and Dragons table top game with every attack and its damage being determined by dice rolls behind the scenes. Fans of the table top series can turn these on in the game settings and it gives a slight nostalgic feel but most players won’t even notice. Neverwinter Nights is one of the classics in the genre and if you haven’t played it by now you are really missing out. A standout in the genre. Lots of support for community content creation to add even more gameplay. Create your character and develop them in multiple ways. Uses a Dungeon and Dragons rule set for combat.